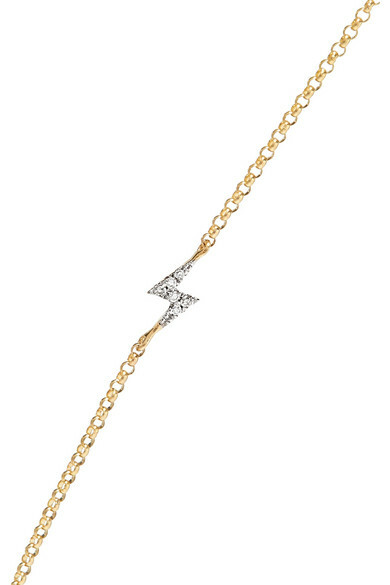 STONE AND STRAND's necklace is designed with great attention to detail; the dainty lightning bolt that sits slightly off center is sprinkled with diamonds, which have been carefully hand-set under a microscope. 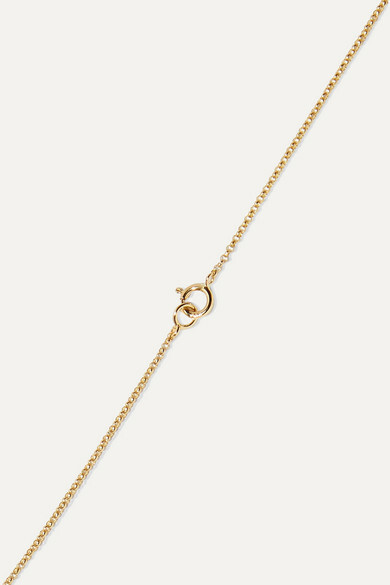 The 14-karat gold chain can be adjusted - we like it on the second clasp so it rests just above the ​collarbone. Shown here with: Nanushka Top, Ksubi Jeans, Catbird Necklace, Loren Stewart Earrings, SARAH & SEBASTIAN Ring, Loren Stewart Ring, STONE AND STRAND Ring, Wwake Ring.